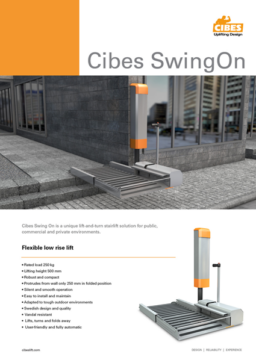 Cibes SwingOn is a unique stairlift solution for private, public and commercial environments. 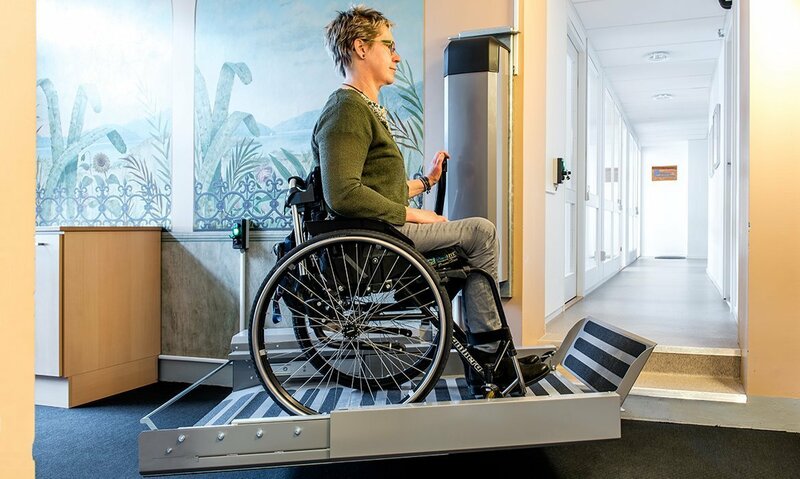 Stairlift Cibes SwingOn is a flexible and discreet accessibility solution, designed to fit in locations where a conventional stairlift would block the passage. 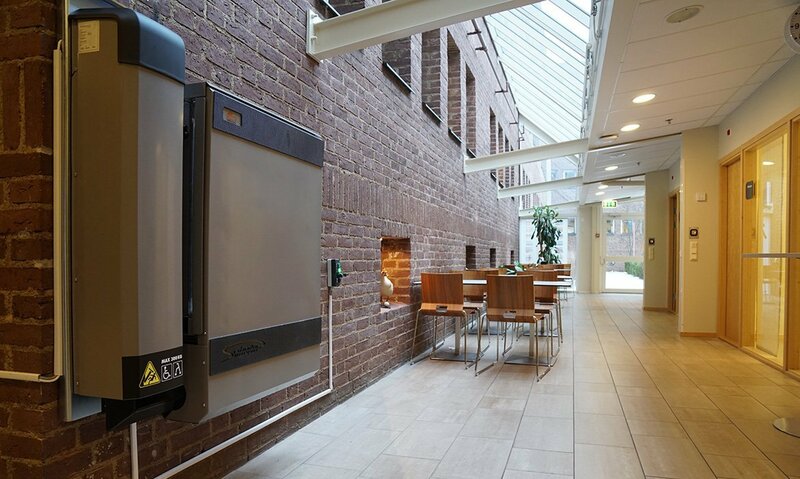 The lift is delivered in ready-made modules with everything you need for installation, including a wall fixing plate. Cibes SwingOn can be installed to the right or to the left of the stairs. When the lift is not used, it folds up against the wall to park. Cibes SwingOn can both lift (0,5 m) and turn (90 degrees). The unique movement pattern of Cibes SwingOn enables the lift to turn around corners. 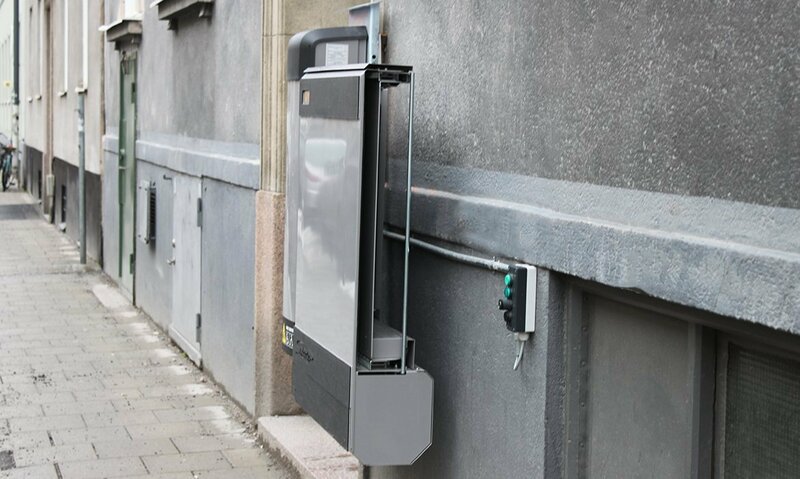 The ready-made lift concept and few fixing points speed up the installation and minimize structural impact. Cibes SwingOn does what no other stairlift can. 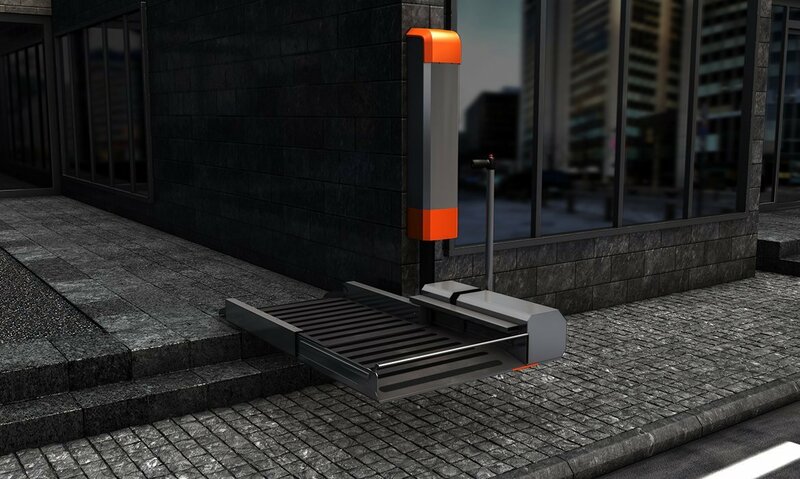 Watch the video to discover the advantages of this innovative lift solution. 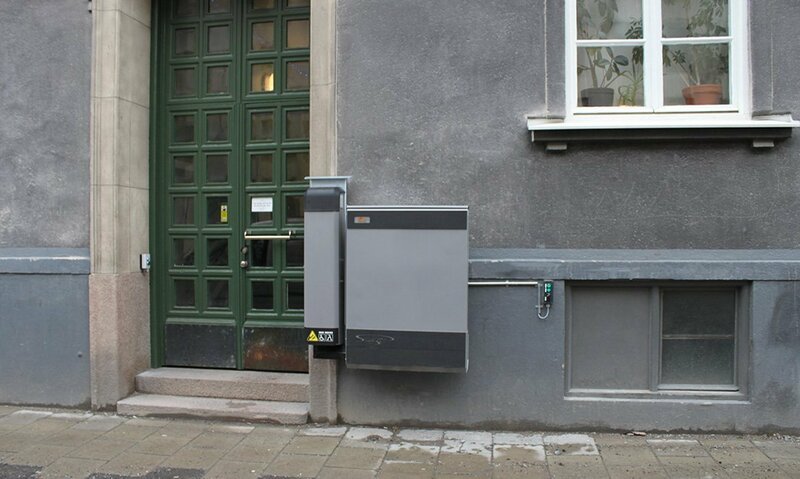 Where conventional ramps and stairlifts would block street circulation, Cibes SwingOn is the perfect choice. Cibes SwingOn is the perfect solution for narrow spaces like corridors, where you do not want the lift to block the passage. 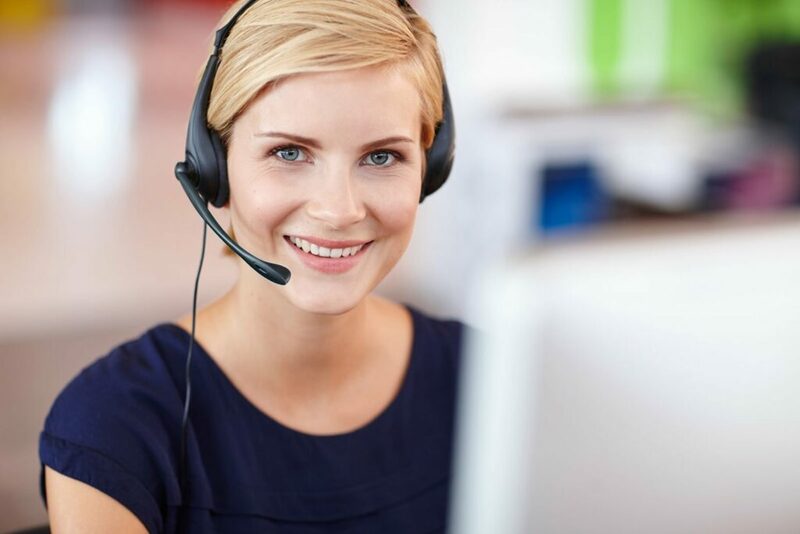 The platform of Cibes SwingOn automatically extends and folds back. Watch the video to see it in action! Cibes SwingOn automatically folds up against the wall to park. Parked and folded, the lift extends by only 240 mm.